LIMITED TIME BONUS: Free in-depth site review ($99 value) covering Website Speed, Security, SEO, Conversion Rate and Duplicate Content Checking. Cancel any time – all plans are backed up by a 30 day money back guarantee. No long-term contract. Safe Checkout. You Get 24/7 Access to World-Class WordPress Developers for Maintenance, Support & Unlimited Small Jobs. You have a WordPress issue or need to change design. Sign up and send us your change or fix required. Our team fixes your issue promptly and emails you. You relax and do better things with your time. How do I send you my login details? You can send us a self-destructing link during checkout. Or you can send logins after you have signed up. Get them to us at your convenience. How long will the plan set up take? Once you sign up, we’ll set up your plan within 12-24 hours. Everything from speed to security optimization will be fixed by our team automatically. Will you help me with my plan? 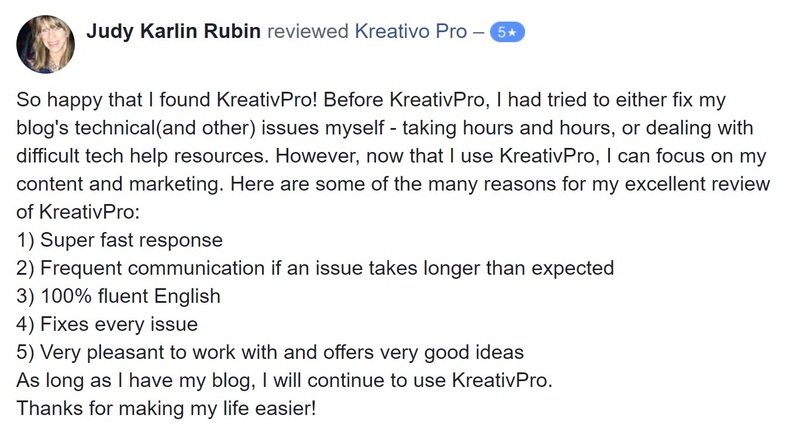 We’ll send you series of introductory emails on how to effectively ask for edits, best screen capture tools and ways to get best help in your plan. What’s included in unlimited edits? Unlimited edits include changing content, plugin settings and CSS adjustments. They do not include custom development (PHP, plugins, themes, etc), updating custom code, graphic design, Photoshop work, PSD to WordPress or building out a new website or subdomain. Do you manage WooCommerce sites? Websites with advanced functionality like this require our Kreativo Shop Plan. 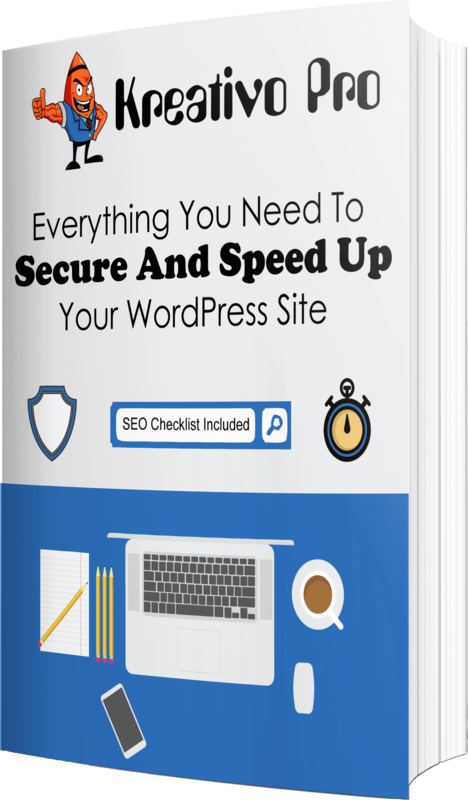 They take more resources for us to manage, so making sure you’re on the right plan means we’ll be able to dedicate what’s needed to keep your website secure, fast, real-time backed up and running smoothly. Does my hosting provider matter? We work with everybody regardless of their hosting provider. We know that different websites have different needs and that people have realistic budgets that they have to meet. Still, if you would like to upgrade, we recommend our trusted hosting partners. They are simply the best. Not Ready For Monthly Service Yet? Choose Our One Time Problem Fixing Service!